Tory Historian has been reading the excellent biography of Sir Arthur Conan Doyle by John Dickson Carr, another famous detective story writer. It brings the old boy to life in a way no subsequent "life" has managed to do though TH has a bone to pick with JDC: The Adventure of the Dancing Men is not one of the best Sherlock Holmes stories but one of the worst. It is completely incredible, very silly and gives no indication as to how Holmes works out the conclusion. Sorry Mr Carr. Completely wrong there. However, John Dickson Carr shows that, in his own way Conan Doyle was a proto-Anglospherist, something that we know from a story that he does not like for reasons TH fails to understand, The Adventure of the Noble Bachelor. 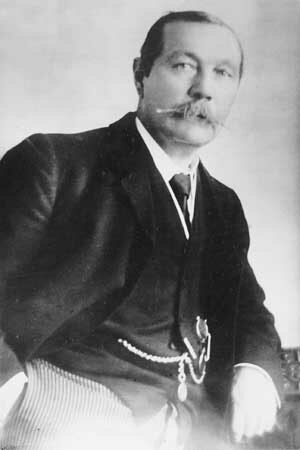 Conan Doyle spent some time in South Africa during the earlier stages of the Boer War, working in a private hospital, treating soldiers who were suffering from the dreadful emetic fever. On his return, he wrote a history of the war up to 1901 and made some trenchant suggestions as to necessary army reforms. Lord Roberts agreed with him but, as Carr says, none of the "military experts" did. Infantry taking cover? Cavalry abandoning swords and lances in favour of guns? Pshaw. What is this "amateur" trying to achieve? Survival and victory? Eventually, of course, all his suggestions were adopted. As the year drew to a close, he settled down to write a short essay that is almost startling in its prophecy. Entitled An Anglo-American Reunion, it consisted of a trenchant plea for a much closer understanding between the two nations, and he coupled that plea with the warning that, unless this essential relationship was brought about by good will, then it might be forced into existence in some future time as a measure of self preservation against an eventual threat from Russia. You Americans have lived up to now within your own palings, and know nothing of the real world outside. But now your land is filled up, and you will be compelled to mix more with the other nations. When you do so you will find that there is only one which can at all understand your ways and your aspirations, or will have the least sympathy. That is the mother country which you are now so fond of insulting. She is an Empire, and you will soon be an Empire also, and only then will you understand each other, and you will realize that you have only one real friend in the world. These words must have seemed very strange at the time; they have been proved correct since many times. As it happens my attention was somewhere else but was sharply called to this subject by the The Organic Tory, who points out that today is the birthday of two eminent and important people. 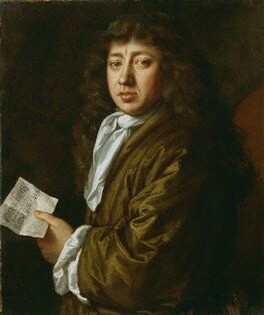 Firstly, one of my own favourite writers and historic personalities: Samuel Pepys, born on February 23, 1633 in the heart of London, just off Fleet Street, to real London parents a tailor and the daughter of a Whitechapel butcher. Pepys is known largely these days for his astonishing diaries, now fully in print with excellent and scholarly notes by R. C. Latham and W. Matthews but let us not forget his achievements as a naval administrator, the man who, to some extent, was responsible for the growth of the Royal Navy under Charles II and for reforms that eliminated at least some of the corruption around the building and equipping of ships. It has been said that were he to live in the early twenty-first century, Pepys would almost certainly have kept a blog. Possibly that is so, though we must not forget that he kept his diary in a short-hand invented by himself. However, there is a blog that produces relevant entries from Sam's own diary for different years and a website that deals with the man as well as his writings. Someone once asked me whether I'd read the diary right through from beginning to end. No, I replied, it is not something one can do with any pleasure. Those volumes are for dipping in, for leafing back and forth, for getting engrossed and, above all, for quoting on many subjects. The second birthday is that of George Frideric Handel, born on February 23, 1685 in Halle, the Duchy of Magdeburg to parents who seem to have been completely uninterested in music. Having come to England first in 1710, he decided to settle here in 1712 and proceeded to write a large number of oratorios, operas and other pieces. His influence on English music is almost incalculable and so I shall leave it at that. I am sure many of this blog's readers will know far more on the subject than I do, much though I enjoy Handel's work. However, I cannot resist two interesting additions. Handel settled down in 1723 at 25 Brook Street in Mayfair and lived there till the end of his life. It is now the home of the Handel Museum. By one of those curious coincidences that history abounds in there is a blue plaque next door to it as well: Jimmi Hendrix lived at 23 Brook Street in 1968 - 69, moving out a year before he died of a drug overdose. cuckoo eggs, imported from Germany by Handel and Mendelssohn and hatched in British nests to the detriment of our native singing birds, who might otherwise have developed a distinct note of their own. Tory Historian managed to see something like half of the exhibition Royal Manuscripts: The Genius of Illumination at the British Library. There will have to be at least one more visit though one has to pay to get in. Not only the exhibits are overwhelming in their beauty and fascinating content and details but the curatorship is on the sort of high level one has learnt to expect from this institution. The British Library, incidentally, has a collection of fascinating blogs, one of which is on the subject of the various manuscripts in its collection. Another one, about maps, has been mentioned by Tory Historian before. I am still reading Robin Harris's magisterial history of the Conservative party and it is getting ever more interesting. There is no doubt that the author is more interested in the second half of the nineteenth and, presumably, the twentieth centuries than in the early days of Burke, Pitt and, even, Canning. 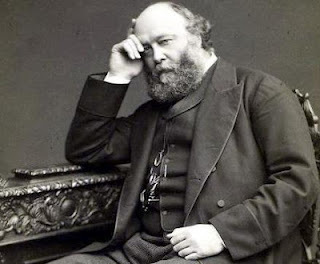 In the account of the Eastern crisis of 1876 there is a paragraph from a letter by Lord Salisbury, then Secretary of State for India, to Lord Lytton, who had recently become Viceroy of India. The commonest error in politics is sticking to the carcasses of dead policies. When a mast falls overboard, you do not try to save a rope here and a spar there, in memory of their former utility; you cut away the hamper altogether. We cling to the shred of an old policy after it has been torn to pieces; and to the shadow of the shred after the rag itself has been torn away. An interesting analysis from one of the greatest Conservative statesmen in this country's history. Tory Historian has always found visits to Tate Britain, home of the superb collection of British art, intellectually stimulating and emotionally soothing. Not so, this afternoon. Most of it has been turned into an outpost of Tate Modern. While the Clore Wing remains largely devoted to Turner, it now has an exhibition of Romantics, which intersperses paintings by artists who were more or less his contemporaries as well as modern artists who paint supposedly in the same vein. Whether Turner can be called a Romantic is a moot point but the idea of following British romanticism through is an intriguing one. TH, feeling a little tired for various reasons, decided to return to this huge exhibition some other time and returned to the main rooms to be stunned by the latest arrangement. Tate Britain changes periodically the way it hangs the paintings, an idea that may have sounded better in theory than it has proved to be in practice. The latest decision was to devote almost all the main galleries to twentieth century British art, the later part of which, large and full of installations, ought to be in Tate Modern, where there is room for it. The rest of the collection seems to have been secreted. There was on gallery, in which about thirty paintings from the sixteenth to the nineteenth century were hung in a rather shambolic order. This was described as the highlights of the historic collection. The Tate is supposed to show that historic collection not pick out a few examples from it. There were three small "focused" exhibitions: a very good one of the Camden Town Group drawings, an interesting one of Rubens and Britain though that could have been bigger, and a completely nothingy display of odds and ends under the title of The Protestant Church after 1660. Small, "focused" exhibitions, successful or not, are of interest in conjunction with the large display of what is the glory of Tate Britain: British art from the 1500s to the present day, which cannot be seen at present. To add insult to injury TH found an extraordinarily silly and unpleasant painting entitled Portrait of V.I. Lenin with Cap, in the Style of Jackson Pollock III, as well as a concrete bust of Stalin by Peter Peri, a Hungarian refugee, originally a constructivist and later a socialist realist. The bust was made in 1942 and is displayed without the slightest explanation. When TH was angrily relating this to someone, the question came whether Mao, the greatest of all mass murderers was there as well. As, having reached this display, TH stormed out of the gallery, the answer remains unknown.